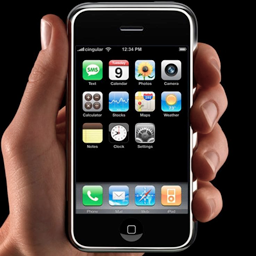 Today, Rogers Announced price plans for the iPhone 3G. I was excited to hear the news but when I saw the pricing, I couldn’t believe how ridiculous the plans are. it’s almost as if rogers is trying to screw apple and prevent them from selling too many iPhones in canada. It makes no sense at all. If you want call display to see who’s calling, you have to pay an extra $15 for an iPhone-specific "value pack". They’ve also started evenings at 9 pm now – it’s hard to believe! If you want "early evenings" (starting at 6pm) it’s an additional $5 for the $20 value pack (which includes call display). And additional minutes are 35¢ on the entry-level iPhone plan, compared to 25¢ on all other Rogers plans. Michelle and I were both excited about the iPhone and planned on getting two of them on July 11 – but in order to do so now, it will cost us (apart from the cost of the phones) an extra $66/month + taxes for my plan to remain similar to my existing Rogers voice plan, and an extra $30 or so per month to keep Michelle’s plan comparable to her existing Fido voice plan. Yikes! As bad as we both want one, at these rates we’ll really have to re-think it. The short term is not a problem (as I suspect is the case for many other Calgarians) but it’s important to consider the long-term as well – you have to sign a 3 year contract on these rates in order to get the iPhone. The text on Rogers’ website for the iPhone plans ("iPhone packages include all the voice minutes and data you’ll need to fully benefit from the breakthrough device.") is hilarious. All the data you’ll need to fully benefit from the breakthrough device? Let’s be real. 400MB is nothing when you consider that the iPhone comes with a full-featured web browser (not WAP), full featured, rich HTML mail messages, access to Google Maps, YouTube, the App Store and iTunes, etc… 400MB is barely enough to use one or two of these features. These rates are so bad, it’s hard to see how Rogers is in any type of partnership with Apple on this one. It seriously seems like they are trying to screw Apple over by restricting the sale of iPhones. Not to mention the hinderance this will cause to Apple’s enterprise efforts. With Apple’s focus on security and enterprise integration (including Microsoft ActiveSync), the new iPhone is very much a great business phone but these price plans (in regards to both voice and data) do not reflect this at all. it’s much too little, and way too expensive for even personal use, let alone business use. As much as I want the iPhone here in Canada, I think Apple should consider pulling the plug on Rogers. it’s better to sell no iPhones in Canada because of unavailability, than to have to explain to shareholders why sales are so low. The ridiculous price plans from Rogers will set the iPhone up to look like a flop – but it’s not the phone, it’s the monthly gouging! If you would like to voice your complaints to Rogers, you can contact Liz Hamilton at Rogers Wireless at elizabeth.hamilton@rci.rogers.com or (416) 935-8710. Apparently she’s already been flooded by emails on this, as have Rogers’ and Fido’s customer service. The more the merrier. I don’t have a problem paying $100/month for an all-inclusive iPhone plan, but paying $100/month for anything less than unlimited data, for far too few minutes (unless you’re using the phone only to check voicemail), for no call display, for evenings that start only an hour before it’s too late to call anyone without being rude and intruding, etc. is ludicrous. I don’t think the price needs to come down so much, we’re already used to paying through the nose for cellular service here in Canada. The changes need to come from what’s included in the plans – that’s what makes it expensive. OTTAWA/TORONTO (Reuters) – Rogers Communications Inc, owner of Canada’s biggest wireless carrier, announced pricing plans on Friday for Apple Inc’s 3G iPhone, prompting an outcry about prices from angry customers. The sleek, multimedia device will hit Canadian stores on July 11. But soon after Rogers unveiled its plans, a protest website began collecting signatures and comments that its creators plan to send to the company on the day of the launch. "This plan is a joke compared to other countries," wrote one complainer, while another wrote: "What a rip off!!!" Canadians have long bemoaned high cost of wireless service compared to those in the United States, and many blame lack of competition in a relatively thinly populated country that stretches across six time zones. Rogers and its Fido wireless unit said they were offering voice and data plans ranging in price from C$60 ($59) to C$115 ($114) a month for the iPhone, a price that includes unlimited Wi-Fi access at Rogers and Fido hotspots. The top-end C$115 plan will buy 800 weekday minutes for voice calling and unlimited time at evenings and weekends. By comparison, U.S. carrier AT&T has said it will offer unlimited 3G iPhone data plans for $30 a month in addition to voice plans that start at $39.99 a month. Prices for the phone are almost the same in Canada and the United States -- C$199 or $199 for the 8 GB version or C$299 or $299 for the 16 GB version. But Rogers requires a three-year contract while AT&T is asks for a two-year commitment only. The iPhone has been tagged as a potential challenger to Research In Motion Ltd’s 3G BlackBerry Bold, which will roll out globally this summer and cost between $300 and $400. it’s taken more than a year for the iPhone to make its way across the world’s longest undefended border, which may help explain why so many Canadians are upset this weekend. On Friday, Rogers Communications (RCI) — Canada’s largest mobile carrier and the only one with a contract to sell Apple’s (AAPL) iPhone north of that border – announced the details of its voice and data plans. They struck some would-be customers as unreasonably high and unnecessarily restrictive, especially when compared with those in the U.S. and the U.K., and thousands of angry Canadians have made their feelings known in various homegrown websites, including eh Mac, GeekCulture, blog.r4nt, and CBCnews. But the largest and most pungent protest is a petition whose original name was unprintable, but which can now be found at ruinediphone.com. Its stated goal is to gather 10,000 names – accompanied by to a letter to Steve Jobs – by July 11, the date when the iPhone 3G goes on sale in Canada. By Sunday morning it had already gathered more than 10,400. My name is James and I would like to thank you for creating the wonderful iPhone device. We really think that you will change the world with it, just as you changed the world with the iPod. We were so happy to learn that on July 11th, we would finally be able to buy the iPhone and legally use it in Canada. What’s wrong with Rogers’ rate plan? For one thing, it comes with a mandatory 3-year contract. In the U.K., O2 offers an-18 month contract and throws in the iPhone for free. And although both AT&T (T) and Rogers offer calling, data and text messaging for $75 a month, Rogers at that price gives Canadians a third less calling time, half as many text messages, and puts a 750 MB cap on 3G data usage – with steep fees for users who go over their monthly limit. it’s this last element that has struck Canadian Apple fans as most unreasonable. One of the features that makes the iPhone so popular is how effortless it makes websurfing and multimedia downloads – activities that can quickly rack up the megabytes. that’s why heavy users usually pay extra for unlimited data usage. Rogers claims that its top data plan – 2 GB per month for $115 – is enough to download 16,000 webpages. But users point out that a single Facebook page can account for 1.2 MB, which reduces browsing from 16,000 pages per month to 1,600. "it’s like they’re deliberately driving customers away," wrote wolfscribe on CBCnews. "I’ll keep my money, ride out the contract and look for a new provider." Petitioners are asking Steve Jobs to pressure Rogers to offer a better plan – or cut a deal with another provider who will. An online petition looking to mobilize Canadians outraged over Rogers Communications Inc.’s rates for Apple’s iPhone 3G has begun to create a buzz in cyberspace, collecting over 19,000 signatures along the way. The petition, found on the website ruinediphone.com, was launched shortly after Rogers unveiled its pricing scheme last Friday for the iPhone, scheduled for sale in Canada July 11. The website, title "Screwing Canadian iPhone consumers since ’08", also includes an open letter to Apple CEO Steve Jobs. Signed by James Hallen, the letter calls on Jobs to intervene and pressure Rogers into cheapening up their iPhone rates. "I was going to buy an iPhone for me, my girlfriend and my family. Now, sadly, I cannot afford the plan," writes Hallen. "I hope you can do something Steve; we are loyal customers and trust that you will. We don’t want to lose faith in Apple." The website has also provided a venting forum for outraged would-be iPhone customers, many who have included sharply worded statements along with their names or aliases on the petition. "As a previous Rogers employee I know for a fact that they can do better and this plan is a joke. Smarten up guys," Chris Burka posted Monday. “You really ought to take a lesson from Google. ‘don’t be evil,’” wrote Ryan Feller, who posted a minute before Burka. The petition is getting some high-profile cyber exposure with Fortune Magazine’s Apple 2.0 blog picking up the cause by comparing Rogers’ rates with those from the U.S. and U.K.
"What’s wrong with Rogers’ rate plan?" writes blogger Philip Elmer-DeWitt. "For one thing, it comes with a mandatory three-year contract. In the U.K., O2 offers an 18 month contract and throws in the iPhone for free. And although both AT&T and Rogers offer calling, data and text messaging for $75 a month, Rogers at that price gives Canadians a third less calling time, half as many text messages, and puts a 750 MB cap on 3G data usage – with steep fees for users who go over their monthly limit." Rogers is offering up four voice-and-data combo packages for the iPhone 3G, ranging in price from $60 per month to $115 a month, all requiring a three-year contract. Pricing includes unlimited Wi-Fi access at all Rogers and Fido hot spots, the company said. Caller ID will cost an extra $15 to $20 per month, depending on the package. The price on the phone – touted as being twice as fast as the first iPhone launched last year – is $199 for the eight-gigabyte model or $299 for the 16-gigabyte version. Liz Hamilton, a spokeswoman for Rogers said the company had no comment on the petition but said it was apparent there is "confusion in the marketplace" about Rogers pricing plans for the phone. She said iPhone 3G bundles are high value and offer customers savings over voice and data plans that exist today though they are not the only plans being offered. "These are the best value for customers who wish to use the iPhone 3G as it was meant to be used, but as always our customers have choices," Hamilton said in an e-mail. She said customers can use their existing voice and smartphone data plans, or order other a la carte options so they don’t have to take the value pack. The petition’s creators said they plan to send a printed copy of all comments posted on their website to Rogers headquarters in Toronto July 11 "to demonstrate our indignation toward them." Canadian iPhone fans have launched an online petition protesting pricing plans Rogers Wireless Inc. will offer customers when the coveted touchscreen device arrives in Canada July 11. So far more than 16,000 people have signed the petition at ruinediphone.com since the site was launched Friday. The creators say they plan to send a hard copy of all the comments posted on the site to Rogers Communications’ headquarters in Toronto to demonstrate users’ "indignation." "Everyone would like to say "no thanks" to Rogers/Fido for screwing our iPhone Canadian dream with poor data/voice plans," the site’s main page says. A Rogers spokesperson could not immediately be reached Monday. In an open letter to Apple Inc. chief executive Steve Jobs posted on the site, creator James Hallen calls Rogers’ 3G iPhone rates "unfair" when compared to the packages offered through AT&T Inc. in the U.S. and other carriers around the world. "There are a vast number of Canadians that would take the opportunity to buy an iPhone at $199 (Canadian) but these new plans have put it out of reach for many," he says in the letter. Mr. Hallen had hoped to gather 10,000 signatures to the petition by the time the iPhone goes on sale in Canada July 11, but had already surpassed that number by Sunday morning. Visitors to the site claim Rogers’ voice and data plans are too expensive when compared to other country-exclusive iPhone carriers around the world. They say the company’s plans to only offer the iPhone at full price – $199 for an 8 GB model, $299 for a 16 GB model – on fixed, three-year contracts is both restrictive and unfair. Other carriers, including O2 in the UK, offer shorter term contracts or sell the iPhone on prepaid plans. O2 offers one plan that includes a free iPhone with an 18-month contract. Rogers’ combined voice and data plans for the iPhone, which include unlimited calling on evenings and weekends, range from $60 per month for 150 daytime minutes with 400 MB of data usage, to $115 for a deluxe 800 minutes and 2 GB package. The packages each include unlimited WiFi access at all Rogers and Fido hot spots. But unlike other carriers, including AT&T, Rogers does not offer an unlimited data usage plan for the iPhone. One of the reasons the iPhone is such a sought-after device is because of its superior Web-surfing capabilities, which can quickly become an expensive pursuit with the wrong data plan. Users posting on ruinediphone.com claim that Rogers’ plans make surfing the Web on an iPhone prohibitively expensive. "We fail to understand why you are giving Canadian customers a patently worse deal than AT&T in the U.S.," writes a user named Rodger Morrow. "You will make more money and sell more iPhones if you make the rates affordable…"
In a statement Friday, Rogers said that its 400 MB plan would allow a user to send about 200,000 text e-mails or view 3,100 Web pages or 1,360 photo attachments. It claims its 2 GB plan would allow a user to download 16,000 Web pages. However, one user on the forum points out that loading a Facebook page can rack up as much as 1.2 MB, which would drop the number of page views per month to 1,600 from 16,000. Rogers Communications Inc. is taking fire from potential customers, who are outraged by the rate plans it announced on Friday for Apple Inc.’s iPhone. Over the weekend, more than 18,000 people signed an online petition at ruinediphone.com, with many saying Rogers prices were "ridiculous" and "a joke" when compared to iPhone plans in other countries. "At first, I was so excited that Rogers was offering the iPhone. However, unfortunately I will not be able to afford to use the iPhone to its full capabilities so it’s not worth it anymore. I wish Canadian mobile phone companies offered prices that are comparable to other countries," wrote one petitioner. "I had intended to cancel my contract with Bell just to purchase an iPhone. I was really looking forward to becoming a Rogers customer, but it seems that I would be discontinuing a relationship with one group of thieves just to begin a new relationship with another group of thieves. No thanks," wrote another. One flaw with the petition, however, is that it is open to everyone on the internet, meaning that non-Canadians can sign it. Many of the petitioners are angry that Rogers plans are considerably more expensive than those offered by AT&T Inc. in the United States, as well as those from some European providers. The basic Rogers monthly plan begins at $60, plus a system access fee of $6.95, and gives subscribers 150 daytime minutes and 400 megabytes of data usage. AT&T’s basic plan, in comparison, is about the same price — $69.99 US — but offers 450 daytime minutes and unlimited data usage. AT&T also only requires customers to sign a two-year contract while Rogers customers must commit to three years. Both carriers are selling the basic iPhone, with eight gigabytes of storage, for $199 in their respective currencies while a beefier 16 GB version sells for $299. The devices actually cost more, but they are subsidized for customers by the carriers in return for the term contracts. The low data usage has particularly angered potential customers since the new iPhone, which runs on fast third-generation cellphone networks, is geared toward internet surfing and watching videos. Such activity would chew through the allotted limit quickly and incur extra charges for the user. A single Facebook page, for example, can exceed one megabyte. The petitioners plan to send a letter to Apple chief executive officer Steve Jobs ahead of the iPhone’s Canadian launch on July 11 in hopes of getting him to pressure Rogers to lower its rates. Rogers backpedalled somewhat on Monday and said the plans announced last week are not the only ones available. Customers wishing to buy the iPhone can select other voice and data plans, including ones that have been designated for BlackBerry phones, including a recent deal that offers six gigabytes of downloading for $100. "The [prices announced Friday] are only the plans that we think make the most sense for users," said spokesperson Elizabeth Hamilton. Many potential buyers, however, had been hoping for a plan with unlimited downloading — something Rogers won’t deliver because it would raise prices for people who don’t want to use the iPhone’s internet capabilities that much, Hamilton said. Rogers is offering the iPhone on a three-year contract only because it is the most heavily subsidized device the company has ever sold, she said. The rates also took Apple employees by surprise. A manager in a Toronto-area Apple store said the staff there were "very disappointed" upon learning of the rates on Friday. The manager said all customers complaining in-store were also being told to call Apple’s customer service phone line in the United States, which is keeping a tally of grievances. A spokesman for Apple said he was "unfamiliar with Apple keeping any records regarding Rogers." In announcing the rules of the current auction of cellphone airwaves, the federal government in November ruled the Canadian wireless market was uncompetitive, resulting in high prices and poor services for consumers. The government reserved airwaves for new entrants, who are expected to build networks after the auction concludes some time in the next few weeks. While Rogers is the only existing carrier that has a network compatible with the Global System for Mobile communications (GSM) technology the iPhone uses, new entrants could possibly offer the device when they start operations. Rogers has not announced that its deal with Apple is exclusive, as AT&T has. If you have subscribed to an iPhone Voice & Data Package or a Voice Price Plan with a Monthly Service Fee of more than $30, then a Price Plan Downgrade Fee of $50 will be applied to your invoice if, for any reason, you change to a Price Plan with a Monthly Service Fee of $30 or less at any time during the Service Agreement Term. A Price Plan Downgrade Fee will not be charged if your service is terminated prior to the end of the Service Agreement Term, although you will be subject to any applicable early cancellation fee. Rogers seems to be responding to all the negative feedback surrounding their iPhone plans by making it even less and less attractive for customers. The more time goes by, I really think Rogers is doing this intentionally to screw Apple – I wouldn’t be surprised if they have an agreement with another cell phone manufacturer to sabotage the iPhone launch and make the iPhone seem like a flop. What other explanation can there be? The new server is up (old hosting company pulled the plug with no reasons). You should see the website very soon (like in 5-6 hours from now). Thanks for your support. I’ve said a couple times on my blog that it seems like Rogers is purposely trying to screw Apple by making the iPhone flop in Canada. They keep making the plan worse and worse – $1100 cancellation fee? $50 fee if you change your plan at any time to a plan that is less than $30/month?… I mean, c’mon! that’s the only rational explanation I can muster up… Maybe they are partnered with another cell manufacturer and are trying to sabotage the iPhone? Wouldn’t surprise me. As much as I want the iPhone here in Canada, I would not think any less of Apple if they pulled the plug on Rogers and cancelled their contract with them. If the terms of the contract allowed it, that’s what I’d do. Apple has created a revolutionary device but instead of embracing change, Rogers is forcing Canadians to limit their usage and find ways to maneuver around their imposed limitations (like only using wifi)… How can you fully experience the device like that? Right or wrong, people will associate Apple with their huge data bills from Rogers. that’s the way it is. Unfortunately, Apple is at the mercy of Rogers to create a positive experience for users of the iPhone. And so far, it’s building up to be extremely negative. I’d pull the plug. I understand that the iPhone is the highest subsidized phone Rogers has ever sold. I also understand that Rogers is in the business to make money. Rogers can take advantage of the situation, like any other business would do, to maximize their revenue. No problem. The problem is, they are taking advantage of the *consumer*, and so much that it has made iPhone ownership to be extremely unattractive. I suspect a lot of it has to do with Rogers’ resistance to change. The iPhone is a data intensive device and forces cell companies to do business differently as a result. Data usage this high is uncharted waters for Rogers and they are afraid. Of course they are. The trouble is, resistance to change never works. Rogers is trying to force consumers to use the iPhone in a way that doesn’t require them to change too much too quick and in a way that keeps things to their advantage. Instead, I would suggest to Rogers that they need to accept that times are changing, like it or not. They can still profit from the iPhone and make things work to their advantage, all the while giving consumers "reasonable" rates and terms. If they were to shift their focus to be more embracing of the technology and changes that are happening, they will ensure longer-term profitability. More than one year after the Apple iPhone hit store shelves in the United States, the hugely popular device makes its Canadian debut on Friday. The arrival of a Canadian iPhone is expected to generate long lines at Rogers Wireless stores, though the prelaunch publicity has not been particularly smooth for the company. Its announcement of iPhone service pricing set off a wave of online protest, as consumers noted the absence of an unlimited data plan, higher prices and longer contractual commitments. The Rogers offer is not particularly surprising. Canada ranks toward the very bottom among developed countries for cellphone usage as the lack of competition leaves Canadians with some of the highest prices for wireless services in the world. Indeed, Rogers has a monopoly on the iPhone since it is the only Canadian carrier currently capable of carrying the device. Most of the public criticism has focused on the uncompetitive data rates that render it difficult to maximize the iPhone’s potential. Yet the bigger story is how the Canadian version of the device features a triple lock that is the result of onerous contracts, technological locks and a legislative proposal from Industry Minister Jim Prentice that simultaneously locks consumers in, while locking the competition out. The effect of locking out the competition is striking since recent Canadian policy has emphasized the need to provide consumers with greater mobility and choice. The government has introduced wireless number portability that theoretically allows consumers to switch providers but retain their phone number. It has also conducted a successful spectrum auction that may yield future competitors. In spite of those efforts, the Rogers release of the iPhone is the poster child for how these policy initiatives have failed. The first lock on the iPhone is the contractual lock-in that comes from a mandatory three-year contract. This is the longest mandatory contract for the iPhone in the world and it comes with huge penalties for consumers that seek early termination. While the contract guarantees Rogers a steady three-year revenue stream, it also means that for most consumers the actual cost of the iPhone is at least 10 times the $199 sticker price. This contractual lock is a direct result of the absence of competition and government inaction. In the United States, AT&T (the exclusive iPhone carrier in that country) has announced plans to offer the option of purchasing an iPhone at a higher price with no long-term contract attached. South Africa has gone even further, recently enacting regulations that limit cellphone contracts to a maximum of two years. The second lock is a technological one that restricts the device to the Rogers network (and Rogers-approved roaming partners). This provides Rogers with another guaranteed revenue stream for consumers who wish to use their device in other countries and effectively locks consumers out of wireless number portability should a GSM competitor enter the Canadian market. While Canadian law remains silent on this issue, other countries, including France and South Africa, have mandated that carriers offer consumers the option of an unlocked device. The third lock involves a legal lock against unlocking cellphones. Ironically, while other countries use laws to unlock consumers, Prentice has proposed locking them in. Bill C-61, tabled just prior to the summer recess, would make it a violation for Canadians to unlock their cellphones and bans the distribution of software programs that could be used to do so. The United States has recognized the need to specifically exempt cellphones from locking provisions, yet months after claiming to prioritize consumers interests, Prentice’s bill is silent on the issue. Many Canadian consumers will undoubtedly overcome the sticker shock that comes with a phone that requires a financial commitment that runs into the thousands of dollars on Friday. However, lurking behind the cost is a "made in Canada" triple lock that seems unlikely to be broken. Here’s a blog that claims that Apple is displeased with Rogers and is reportedly diverting some of the Canadian iPhone stock to European launches. The imminent arrival of the iPhone in Canada has unleashed a storm of controversy over the country’s high wireless data rates and left consumers bewildered by an array of offerings that – if misunderstood – could leave them with a monthly phone bill higher than the cost of a house in Saskatchewan. […] critics say the current hodgepodge of data pricing, beset by small print and unexpected charges, can only lead to more such digital disasters as the iPhone entices more Canadians to embrace wireless data services. "We’re getting piles of complaints," said Bruce Cran, president of the Consumers’ Association of Canada. "We’re classifying this as another ripoff of Canadian consumers. Why we are getting this totally inferior deal to what they are getting in the United States doesn’t make sense." Bell Mobility appears ready to capitalize on the boycott of the iPhone and Rogers that some consumers are promising, announcing the Aug. 8 introduction of the Samsung Instinct smartphone. Instinct users can get a $10 unlimited mobile browser plan from Bell for Internet surfing and e-mail. […] With the Instinct selling for as low as $149.99 and customers able to get a voice package with unlimited data for as low as $40, Bell is aggressively undercutting Rogers’ iPhone offerings that start at $75 for a voice with 750 megabyte of data plan and top out at the heftiest two gigabyte plus voice plan for $115. "They (wireless carriers) deliberately make it very difficult to make comparisons," said Cran. "To be safe you really need to have an unlimited plan." In the U.S., where AT & T is the network that carries the iPhone, customers can get unlimited data at a flat rate with prices that vary depending on the number of voice minutes, starting at $70 with the top plan $110. In Canada, iPhone users will have to know how many megabytes the websites they are cruising amount to, how much watching a one-minute YouTube video will cut into their data allotment or if those holiday snapshots from well-meaning relatives are going to put them over the edge. Cran also points out that users will have to pay for spam that doesn’t get filtered out. "This is totally gouging Canadians," he said. Carrier will charge more to use device in Canada compared to price plans AT&T offers in the U.S.
Wireless giant Rogers Communications Inc. continues to be buffeted by rumours as it prepares the Canadian launch of Apple Inc.’s much-ballyhooed iPhone on Friday. With criticism of its iPhone rate plans simmering for over a week in some quarters of the Internet, a high-profile website that focuses on Apple gossip took things a step further yesterday when it claimed Apple was "disgusted" with Rogers’ approach and is responding by shelving plans to sell the iPhone in its Canadian Apple stores. But it’s not clear whether Apple actually planned to sell the iPhone in its Canadian stores in the first place. Unlike the United States, the iPhone is not available in Canada without a contract through Rogers or its Fido subsidiary. "Apple stores don’t have our activation systems and it needs to be purchased with a plan," said Rogers spokesperson Liz Hamilton. She added that Rogers would announce retail availability today that would be "unchanged from our original distribution plans." A representative for Apple in Canada declined to comment about claims the two companies were at odds over the iPhone’s Canadian pricing. Apple’s Canadian website indicated yesterday customers will only be able to buy the iPhone at Rogers or Fido stores. Earlier this month, Rogers unveiled iPhone rate plans that began at $60, plus fees and taxes, for 150 minutes of weekday talk time and 400 megabytes of data. While that’s cheaper than existing Rogers plans for competing devices such as Research In Motion’s BlackBerry lineup, it’s not as generous as the plans offered in the U.S. by AT&T Inc. Some prospective iPhone buyers have voiced their displeasure on a Web-based petition that, as of yesterday, claimed more than 50,000 signatures, although its impossible to know whether they are all from Canadians. Industry insiders say Rogers may have misjudged the public’s mood, but the dust-up is unlikely to have much impact on iPhone sales. One of the difficulties when it comes to evaluating the value of the Rogers plans is the lack of a clear standard when it comes to determining how much data the average iPhone user is likely to burn through. The iPhone’s focus on mobile Web browsing and multimedia make it more data hungry than most cellphones, but even the entry-level 200 megabyte plan would allow subscribers to view between 1,400 and 3,400 Web pages a month. John Henderson, an analyst at Scotia Capital, said in a recent research note that most iPhone users won’t come close to exceeding their data-usage cap. I’m curious what web pages these people are loading to get 1,400–3,400 web pages a month. One page alone on my blog takes about 1MB of gzipped files… That would work out to 200 pages a month provided that’s all the data you use (no email, no YouTube video, etc.) Hm. Rogers Announces iPhone Plans was published on Friday, June 27, 2008 at 2:43pm MDT by Daniel Menjívar and last updated on April 11, 2018 at 9:30pm UTC .